Picture one of those double-take moments when you have to look again in a mixture of curiosity and alarm. Then imagine that you are thirty meters underwater when that happens. 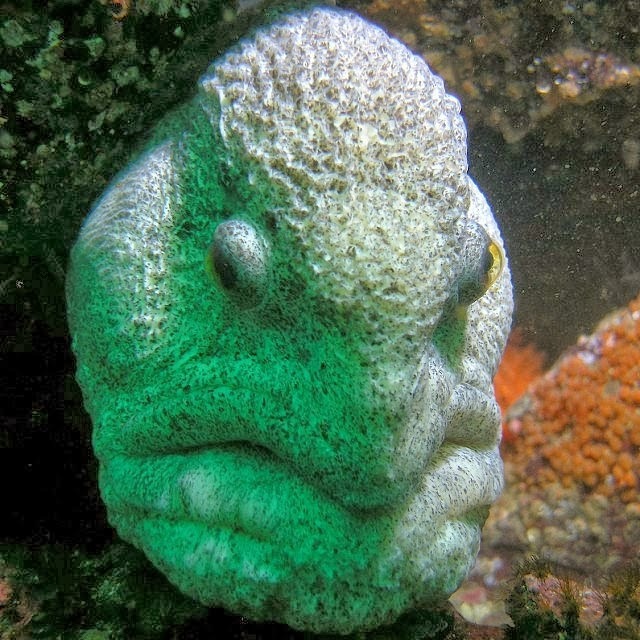 Over the years, divers off the coast of California have had many such moments when they suddenly come across the huge face of an old man peering at them from the rocky reefs below. Yet this is not anything approaching a subaquatic nightmare: it is the face of an extraordinary creature, the wolf eel.